Jen Reilly, R.D., guest blogger, BitchinDiabetes. When our son Jake was diagnosed with type 1 diabetes in 2012, I couldn’t help but notice all the trash that came along with managing type 1. And honestly, some of it was too pretty to throw out! 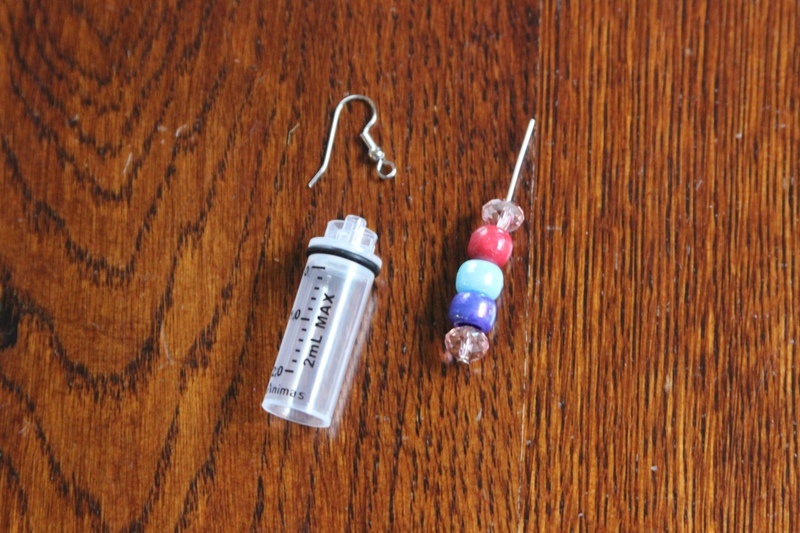 So, as soon as we got in a diabetes management groove, I took the garbage I collected and starting making earrings, bracelets, necklaces, picture frames, backpack charms, Christmas ornaments, and even light switch covers out of old supplies. I gave them as gifts to our diabetes helpers and sold them at conferences with all the profit going to research funding a cure for type 1 diabetes. 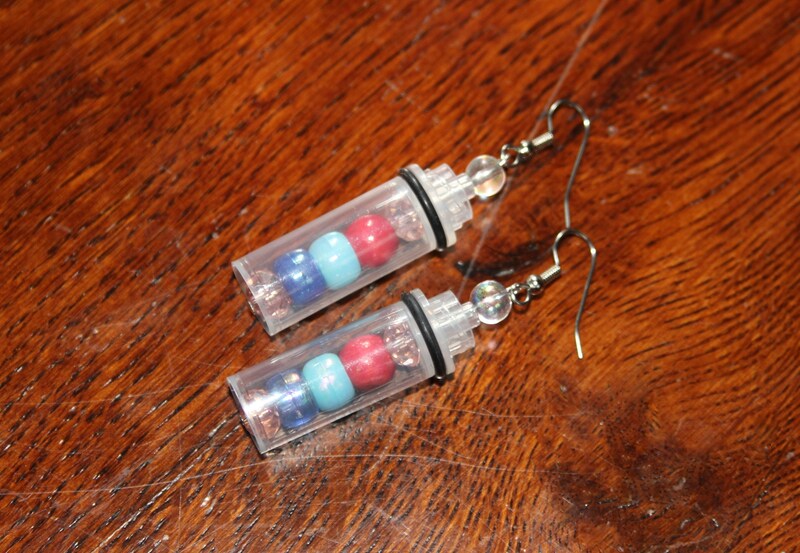 Not only do I love getting creative with trash, but these little gadgets bring a positive spin and a smile to people of all ages living with type 1. In early 2017, when our daughter Annie was also diagnosed with type 1, making upcycled gadgets became a real family affair, with our two other non-type-1 kids getting involved as well. Who knew that making crafts out of used diabetes supplies could be such a family bonding experience?! If you want to give it a try, here’s how to make the two most popular pairs of earrings in our collection. 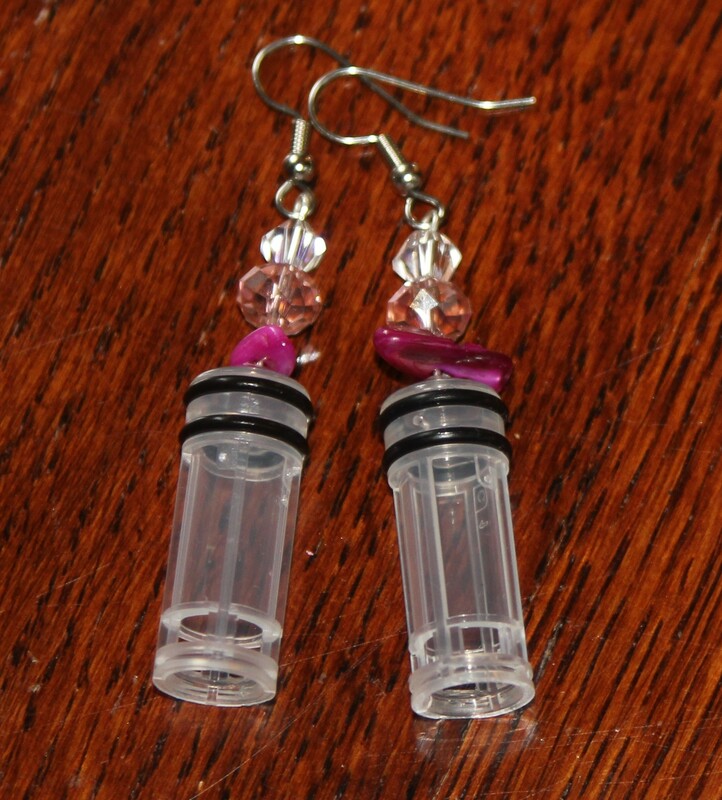 They’re made with old insulin pump reservoirs, but we’ve also used syringe parts from pod-style pumps and plain old syringes with the needle portion removed. 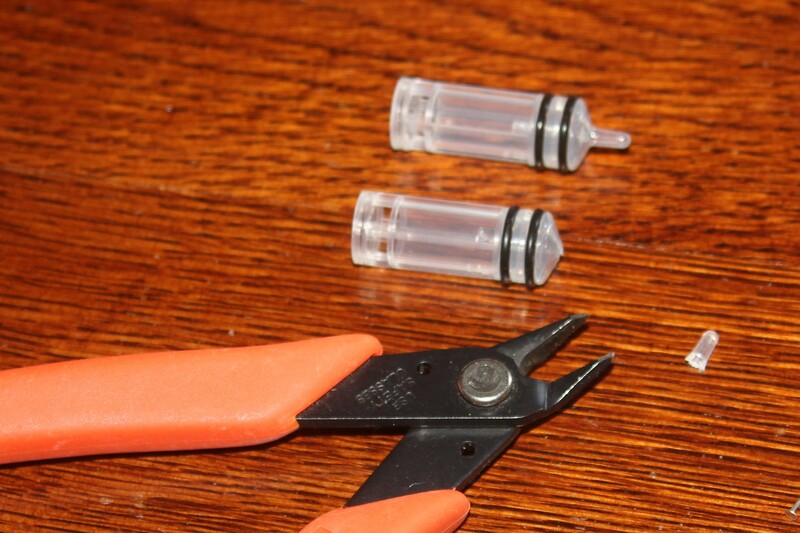 Start by cutting off the tip of the insulin pump reservoir insert, creating a small hole in the top of the insert. Slip the head pin through the hole in the pump insert piece from the bottom so that the pin sticks out of the top and the head acts a stopper. You may need to grab the head end of the head pin with a pair of flat-nose pliers and push the pin up through. Carefully holding the pin so it doesn’t slip back through the pump insert, string three small beads onto the pin, leaving ¼ inch for attaching the earring piece. Using the round-nose pliers, twist the pin around the pliers and slip the earring piece onto the pin. 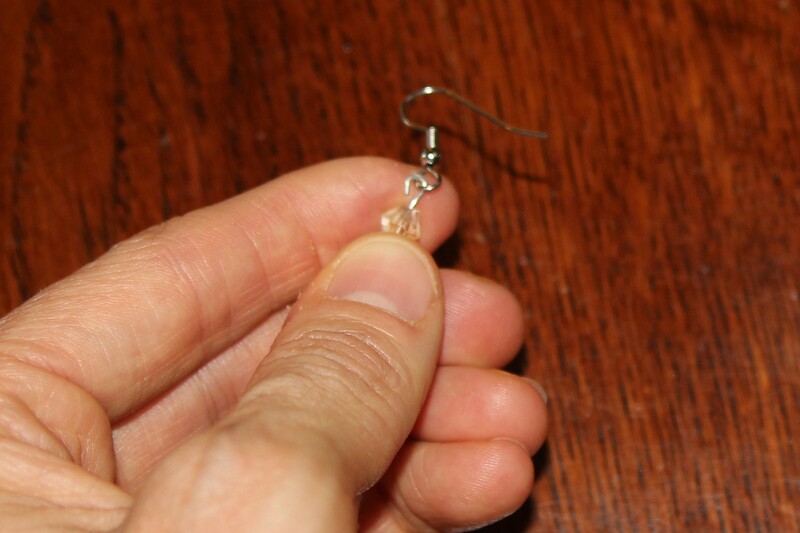 Pinch the pin together with the flat-nose pliers so the earring piece doesn’t fall off. Repeat steps for the second earring using the same order of beads, or a different order if you want! String 5 of the 6 beads onto the 2-inch head pin, leaving about ½ inch at the top and making sure that the bottom bead doesn’t slip through the flat end of the head pin. 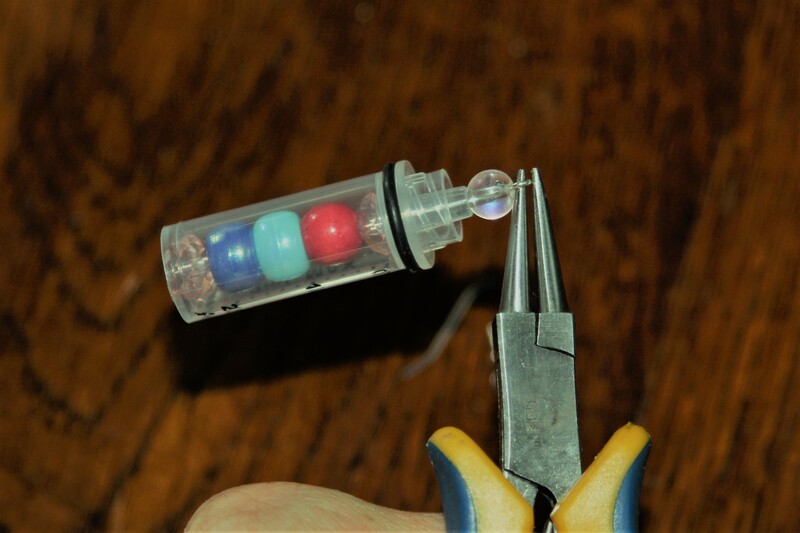 Slip the head pin (with the 5 beads) through the hole in the reservoir from the bottom and grab it with flat-nose pliers at the top. String your final bead onto the head pin sticking out of the top of the reservoir. Using round-nose pliers, twist the end of the head pin around the pliers making a small loop, leaving just enough of a gap to slip the earring piece onto the loop. Slip the earring piece onto the looped pin and pinch the pin together with the flat-nose pliers so the earring piece doesn’t fall off.